American diplomats given 72 hours to leave Venezuela after Maduro breaks off relations with the U.S.
CARACAS, VENEZUELA — Venezuelan socialist leader Nicolas Maduro has reportedly declared that the country is breaking relations with the United States. Maduro, who became president in 2013 and whose continuing tenure is now in dispute, has given American diplomats 72 hours to leave Venezuela, according to a report from CNBC.com. The Venezuelan socialist leader made the declaration to supporters outside his presidential palace here, following opposition leader Juan Guaido’s own announcement as the country’s new interim president on Wednesday. Guaido has the backing of Washington in the South American nation, which is currently dealing with a hyperinflationary economic collapse. His plan to hold elections was praised by President Trump and quickly backed by Canada, Brazil, Colombia and others. Despite Maduro’s declarations, the U.S. State Department said in a statement that it would not remove American diplomats because it does not recognize the Maduro regime. President Trump called the regime “illegitimate” in a tweet. “The citizens of Venezuela have suffered for too long at the hands of the illegitimate Maduro regime. Today, I have officially recognized the president of the Venezuelan National Assembly, Juan Guaido, as the interim president of Venezuela,” he said. Meanwhile, Guaido held a rally proclaiming that Maduro had usurped power, promising to create a transitional government that would help the country overcome its economic woes. “I swear to assume all the powers of the presidency to secure an end to the usurpation,” the 35-year old Guaido said. 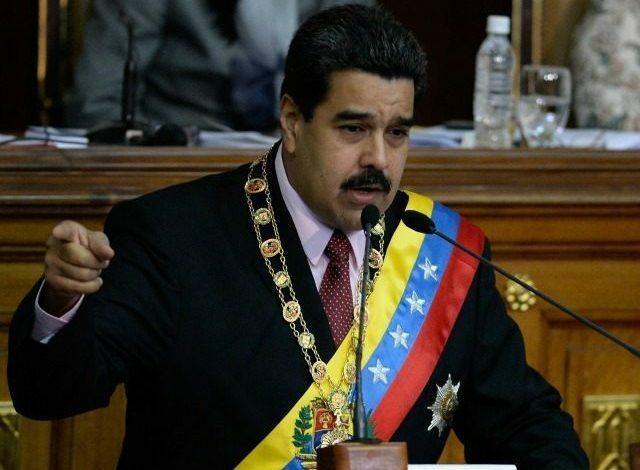 Maduro accused the opposition of staging a coup with the help of the United States, which he said was attempting to control the country from Washington. He also welcomed the deployment of two Russian Tu-160 strategic bombers, which are capable of carrying nuclear weapons. The bombers landed in Caracas last month in order to show support for the country’s socialist regime, a move that drew criticism from Washington.